Change can sometimes seem difficult, whether it is stopping smoking, trying to lose weight, or motivating ourselves to go in a new direction. These are all matters to do with the mind, making up our mind to do something and then carrying it out. While neuroscientists would admit that our knowledge of the brain and its functioning is far from perfect, we do know that our mind operates at two levels: the conscious mind (which is the part which is knowingly reading these words) and the unconscious or subconscious mind. The latter is very much larger, containing our long-term memory, and it is responsible for a surprisingly large part of our behaviour during the day. If we want to change our behaviour it is the subconscious mind which we must influence and use. This is why hypnotherapy can be so effective. Using hypnosis the therapist can access the client’s subconscious mind and, in cooperation with the client, guide the client in a new direction. A hypnotic trance is a pleasant, relaxed state in which the client is aware of what is happening: for a fuller explanation see “What is hypnosis?” in FAQ. Neuro-linguistic Programming ( NLP) is an allied technique which uses an understanding of the way that we look at the world, and are affected by our experience, to change our viewpoint and hence our motivation. 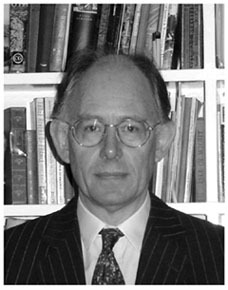 Patrick Browning MA LLM DCH DHP MCH is a Clinical Hypnotherapist practising in Kensington in London. He has a general practice and is able to help clients with a wide range of issues. He is currently running pain management groups for the National Migraine Centre. Since 2005 he has been seeing people with cancer (and cancer carers) at Paul’s Cancer Support Centre in Battersea, both on a one-to-one basis and in group classes. In addition, he can work with employers, colleges and schools helping groups of people with stress management, goal setting, relaxation etc, as explained under Corporate Services. Patrick Browning trained with the Institute of Clinical Hypnosis (where he is now on the Faculty) and is on the General Hypnotherapy Register and the register of the Complementary and Natural Healthcare Council. He is a Fellow of the Royal Society of Medicine and was Chairman of the Association of the Institute of Clinical Hypnosis from 2007 to 2012. He is also a Licensed Practitioner in NLP. He has previous experience as an international investment banker and a finance director.